Don’t you love pulling out your winter jackets once you feel that bite in the air? 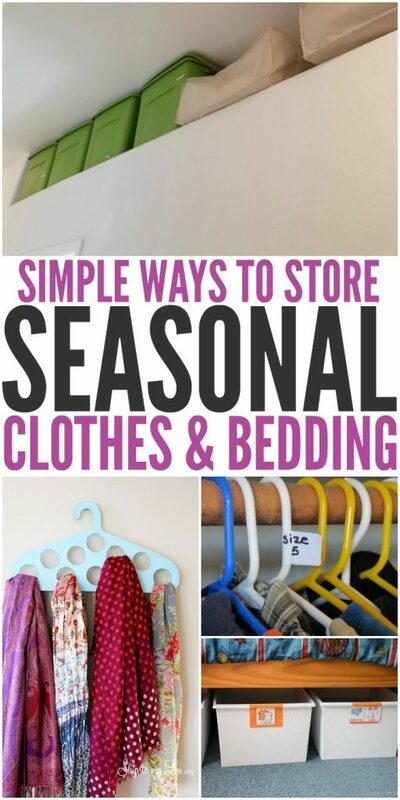 But, what do you do when it’s time to store seasonal clothes and bedding? They’re bulky and cumbersome, making closet organization seem like a mythical unicorn, but it’s absolutely possible! Just like unicorns, HA! We’re not all blessed with extensive storage space so sometimes we have to get a little creative. Hopefully a few of these organization tips and tricks will help you create an ideal system to keep the closets tidy and the winter gear well protected all year long. 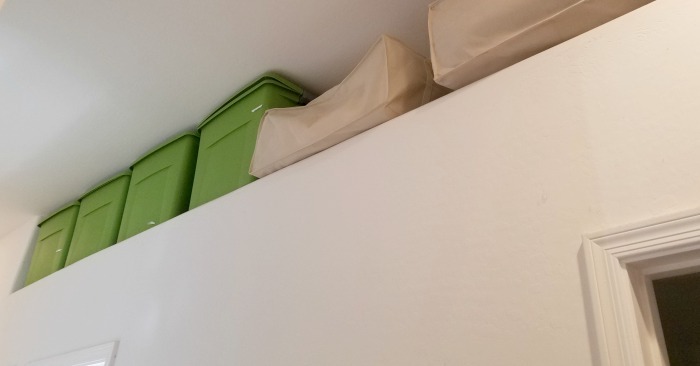 SpaceSaver Storage Bags are awesome for keeping your bulky winter clothes and bedding stashed away until you need it. 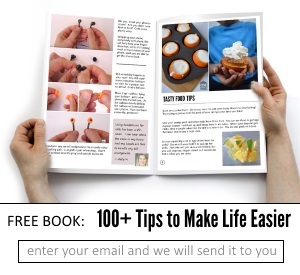 You can even store all the bags together in a bin or basket to make things look a little neater. We reused comforter bags to switch out the seasonal bedding. I have to admit though, those SpaceSaver bags make it so much easier, plus it reduces the dust dramatically. Have you ever considered adding a dresser to your closet to maximize the space? This works great to store off-season clothes if you don’t have additional storage space elsewhere. 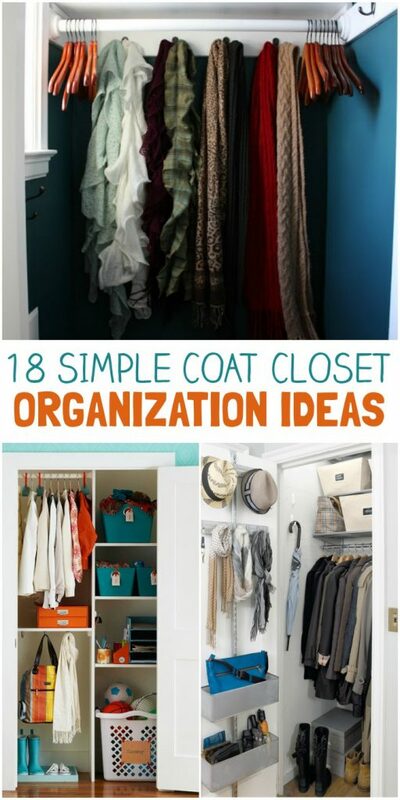 If you have a coat closet to store coats and accessories check out these 18 Coat Closet Organization Ideas. Head over to One Good Thing and see how she organizes her garage to make room for everything, including seasonal clothes! 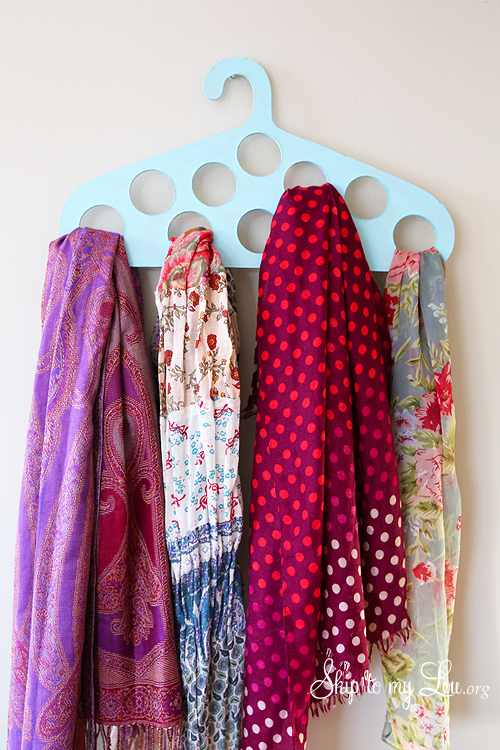 Free up space in your closet with this cute DIY Scarf Hanger. Use it behind the door or on the wall to stretch your storage area. 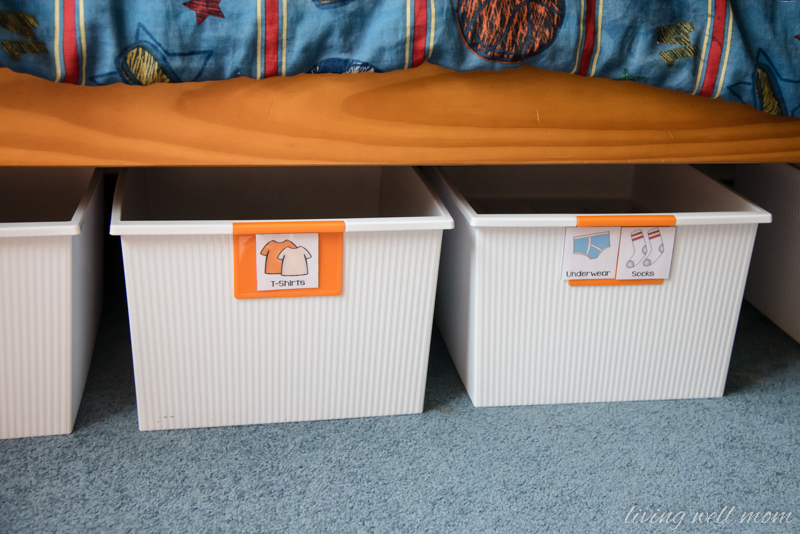 Take advantage of the space under the bed to store off season clothes. I love how clean this look! With little ones it’s always hard to gauge if their clothes will still fit the following season. 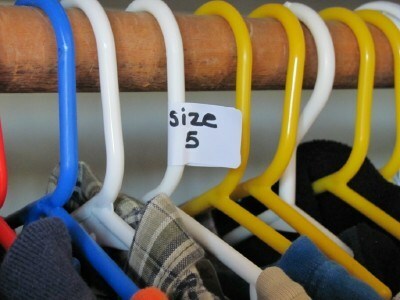 Keep track of all the sizes and seasons of clothes you have on hand. Once your kiddo’s outgrow them, it’s easier to pull them for donation.